Comedy Outliers: Looking For a Venue? Remember to Laugh! 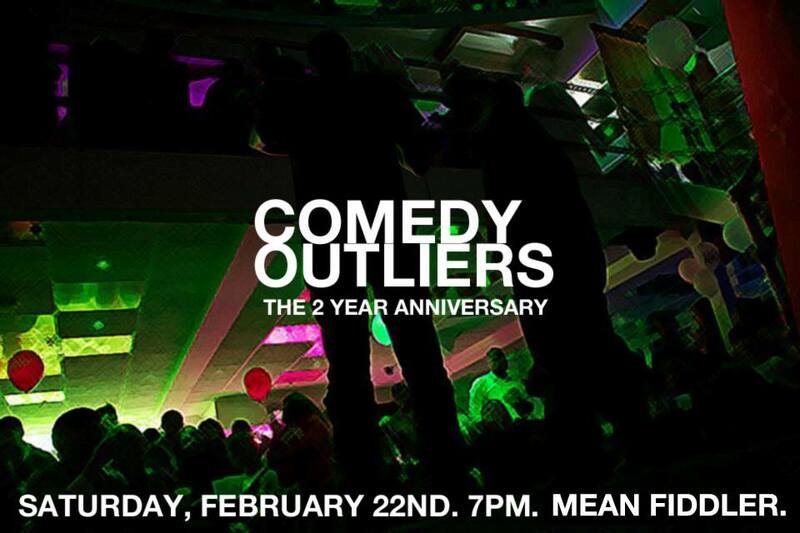 The Comedy Outliers have their second anniversary coming up on Saturday, February 22nd at a new special location, The Mean Fiddler in New York City. Their shows are free and are first come, first served but if you’d like to make a reservation for six or more, e-mail them here. Months before the first ever Comedy Outliers show, we searched for venues. Some were too big, some were too small, and one was just right. It had a private downstairs party room. That room had a private booth. There was a fully stocked bar area. And most important, the venue said we could use the room however we wanted. For almost two years, Comedy Outliers called Lilly O’Brien’s home. The venue is undergoing some major changes in appearance and location mere days before the next show; and now- we’re back to square one. Luckily, we’ve learned some tips over the past two years to make finding a new venue much easier. New York City’s subway system is one of the best in the world (when it works.) It provides transportation to and from most of the city and outer boroughs. Our previous venue was close to numerous subways and the PATH train which connects to New Jersey. Our new venue will have the same accessibility to make traveling to our event pleasant. We know how tough traveling to an event can be – after all, we are the producers! The venue may be perfect but what about the neighborhood? For Comedy Outliers, we started as a new independent comedy show by two performers relatively new to the stand-up scene. It made sense for our show to be in an area where stand-up rarely happens- the financial district. We were breathing life and taking a risk with the show and the area. 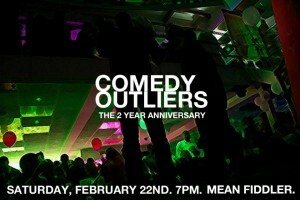 After two years and various pop-up shows, Comedy Outliers has the flexibility to be in any area. Our 2 Year Anniversary show will be at the bustling heart of the city. Our next edition could be at a theater surrounded by hotels. Or a garage space surrounded by brownstones. It all depends on our vision for our show and what best suits it. Is the venue too hot? Too cold? Central air-conditioning? How about those bathrooms? Lighting? Sound? All of these things are essential to an event’s success. Our previous venue didn’t have surround sound but luckily the architecture allowed for amazing sound through our speakers. To control the temperature, our previous venue had a central cooling system installed. A venue that allows for measures like these are always a plus. No one wants to be freezing (or melting!) during a comedy show. Money talks. The world listens. What does an audience member get for their money? What can they gain if they can’t get much. For instance, if a drink is expensive, it’s most likely imported or exclusive to the venue. If there’s a cover charge for the venue, a patron is paying for the exclusivity of attendance. Remember, every venue’s purpose is to make money. As a producer, our purpose is to make every event a success and with Comedy Outliers, we want to make sure everyone comes out on top. A great event always includes great hospitality. The audience needs to feel comfortable to enjoy their time at the event and to return to the venue on another date. This is accomplished by choosing a venue with an amazing, supportive staff. Everyone loves a venue where they feel welcome, and a supportive staff accommodates guests to make that feeling last throughout the event. We hope that you can make it out for our 2 year anniversary show that’s coming up this Saturday at the Mean Fiddler! Until then… remember to L.A.U.G.H.